​​As schools continue to lose state funding they are becoming more and more dependent on PTA's for fundraising revenue to help them supplement their tightening school budgets. That is why your participation in the PTA is so important. 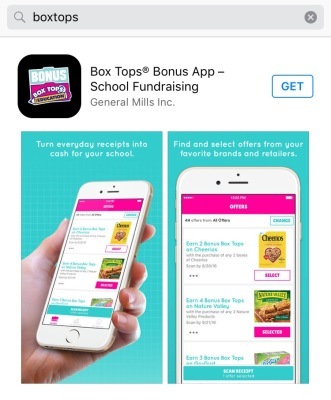 The money raised through our multiple fundraisers go directly to our school. Past fundraisers have provided thousands of dollars to aid in technology, library, and the arts programs. Below is a list of our current fundraisers. 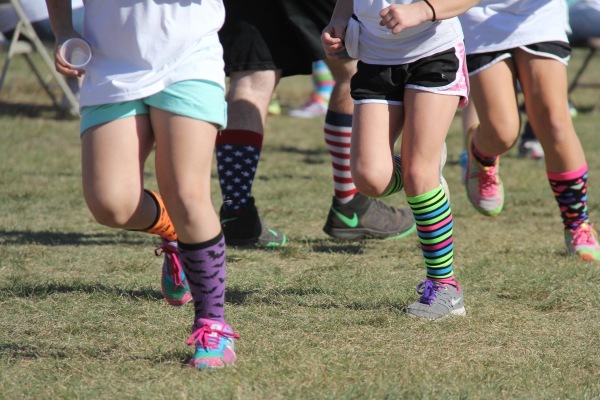 Apex Fun Run combines the power of a strong character curriculum with fitness that is fun. Thousands of dollars have been earned to purchase Chromebooks for students and support academic enrichment programs such as Cheetah Math, Reading Olympics, Mad Science Club, and Reflections. This year the PTA has chosen Boosterthon to provide the support and coordination of our biggest fundraiser- the CHEETAH CHARGE! The kids absolutely love this fundraiser as this local company provides incredible energy and tons of fun into this fundraiser for the kids. Students can earn prizes through the various levels of fundraising they bring in. For more information please contact Holly Coker. Spirit Nights are a great way to not only support our schools but our local community restaurants! 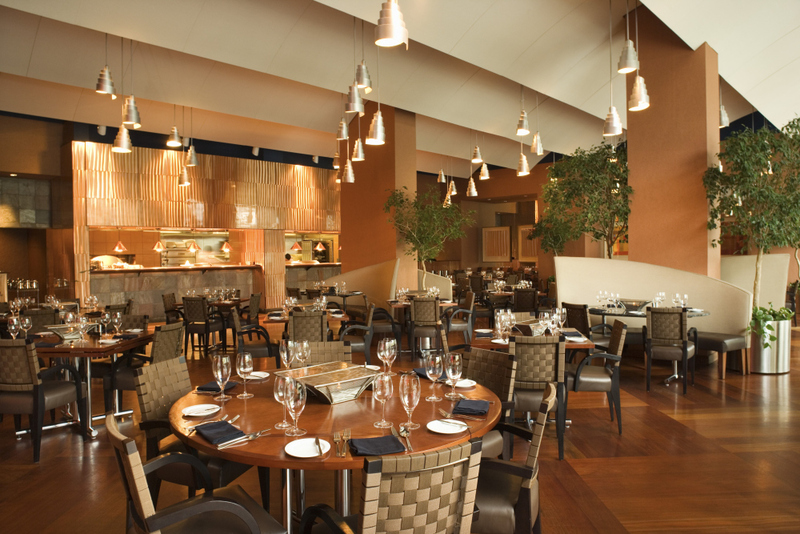 By dining in the participating restaurants on designated nights, they will donate a portion of sales to our school! Flyers will be sent home with students announcing dates and locations. You can also find out more information on our FaceBook page and updates on this website. So easy to do, and no dishes to wash! 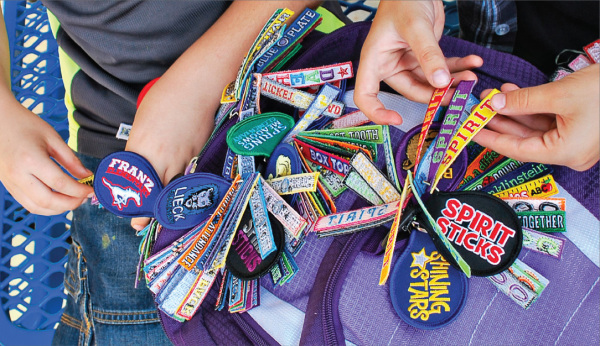 Spirit Sticks® are small custom-embroidered patches that students can earn, collect, and display on a Spirit Ring™, lanyard, or key ring. Spirit Sticks® promote school spirit and participation by providing meaningful extrinsic rewards with lasting value, beyond the school year. We use Spirit Sticks as not just a fundraiser but also as incentives and awards for student recognition and participation. Sales flyers will be sent home with students with sticks available for purchase throughout the year. 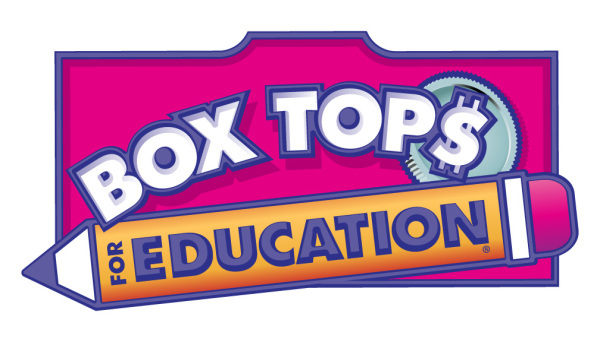 School earns $0.10 per box top!